New Halloween design by Annalee for 2016! 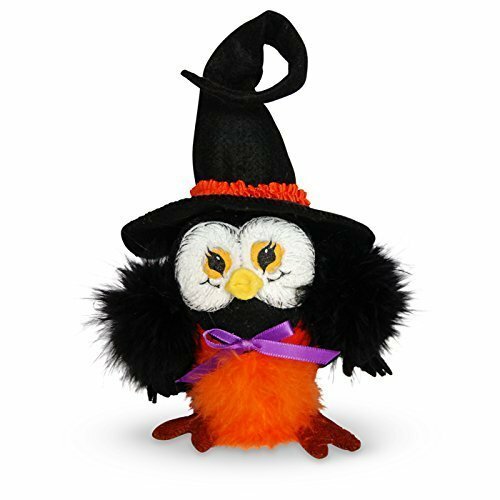 This 5 inch owl is wearing black and orange feathers with a purple bow tie accent. It is also wearing a long witches hat trimmed with an orange hatband. This little guy is bright and colorful to decorate with. Who better to see all of the frolicking activities on Halloween night?! ?